Find the perfect match between the holiday spirit and bringing your already modern home to life with flattering holiday decorations. Simple yet effective incorporations for you to make this Christmas. 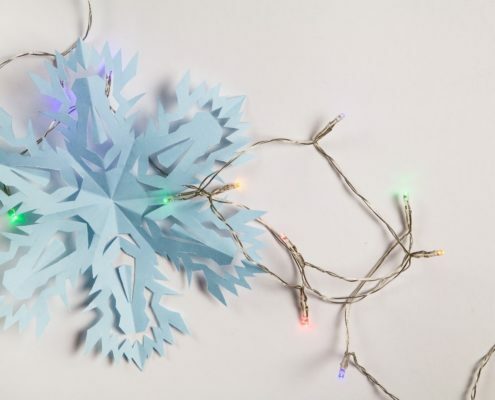 Get every inch of your home in the holiday spirit with these creative and easy ways to decorate the walls, tables and the main feature – the tree. There is something for everyone, whether you prefer traditional décor or enjoy something a bit more modern. Christmas isn’t just about visuals, it’s an ambiance, an atmosphere, a feeling you get ling before you see any lights and décor. Stir up that Christmas feeling in your home from the moment you walk in with a scents that subtly connote to Christmas feasts, togetherness and joyful, euphoric emotions. 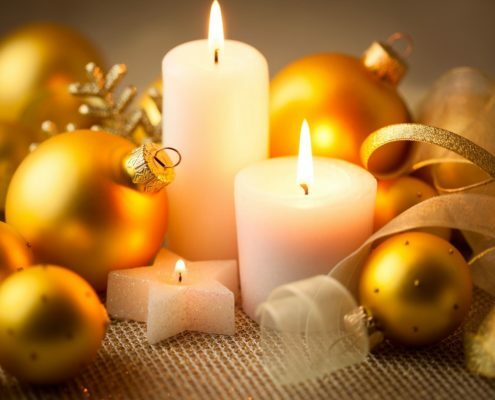 Vanilla scented candles could act as an antidepressant – bringing joy into the home and hearts of your guests who are greeted by a warm welcome and tranquilising scent upon arrival while cinnamon scented candles bring to mind hot coco around a fire. The warm spicy notes will also lift your mood and get your guest’s thinking about the lunch or dinner to come. If you can’t find those exact Christmas notes you’re looking for why not boil some cinnamon, pumpkin spice, vanilla pods and apple slices in a pot. Let it steam through your home just before your guests arrive to really bring in the Christmas aromas. Utilise the dining table as a main feature by decorating it with a core shade of either green or deep red. Add hints of deep red if you’re main colour is green and vice versa if you’ve chosen rich shades of red or merlot. It’s easy to get carried away with Christmas décor so opt for subtle accents of gold or opt for mustard instead to avoid a kitsch Christmas. 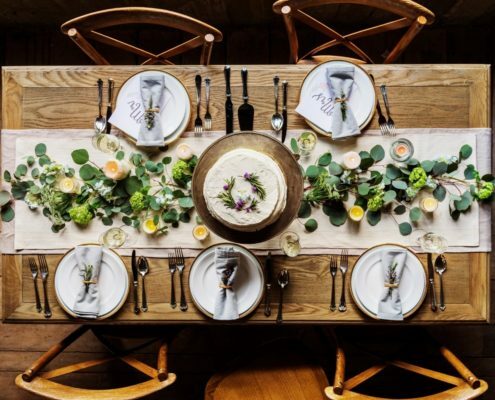 To increase the feeling and atmosphere of warmth, create layers with the design of your table setting and don’t forget to incorporate those scented candles for romantic lighting! 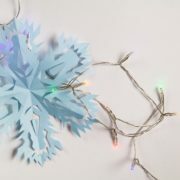 Remember, when it comes to fairy lights less is more! Using fairy lights in your home can be a great way to introduce that Christmas magic into your décor but too much glimmer could look like a child’s party. 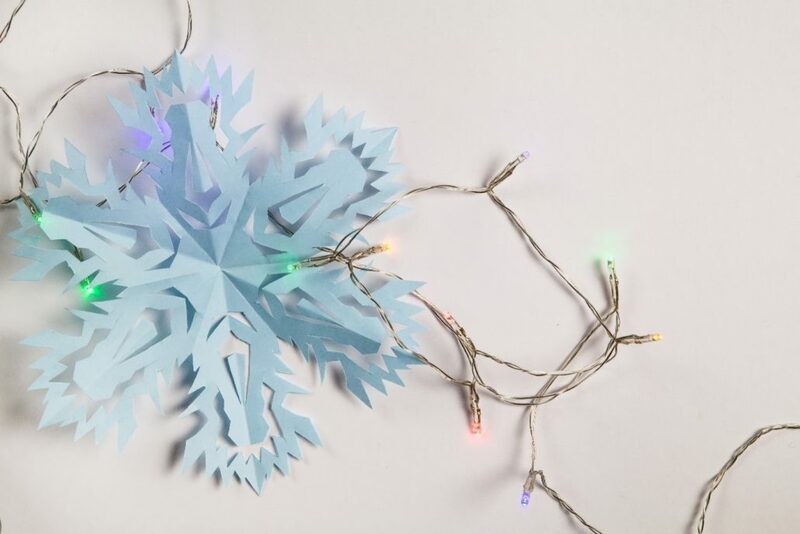 Opt for white lights rather than the colourful ones and keep the cords neat by using double sided tape to hold them in place. Continue the winter season from outside, onto your Christmas tree by tree by accenting the tips of the tree’s branches with snow spray. The frosty bristles will highlight your hanging décor and really make your tree stand out. 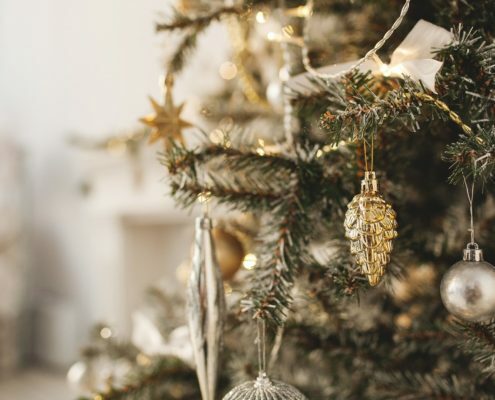 Glitter baubles, sprayed pinecones, sparkling lights- whatever your tree décor you decide, you will ultimately be the one to bring the joy of Christmas to your home so remember to have fun and enjoy the company. -After all, “T’is the season to be jolly” so make this one of the most memorable Christmases ever. For further information contact Nicky Mudie on info@violetandgeorge.com or call her on 020 8969 0654.